Not everyone will appreciate the 2018 Mazda MX-5 Miata. Many car enthusiasts gravitate toward vehicles with maximum horsepower. 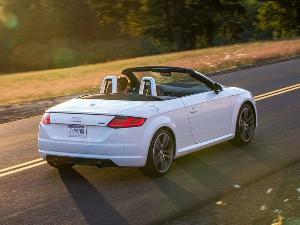 And many convertible buyers just want some extra sun and breeze — not a finely honed performance machine. The Miata could disappoint either type of prospective customer. But if you like a car that does all it can to make you smile, and you can get by with just two seats, you must try an MX-5 Miata. This rear-wheel drive roadster offers a purity of driving pleasure that’s difficult to match at any price — and harder still for its base price of $25,295. It’s not built for a drag strip, and its practical limitations are apparent. But Mazda makes it a blast to squeeze yourself into the low seats, fire up the engine, and hit the road. Let’s take a drive. Mazda has offered the MX-5 Miata since 1990. The car is now in its fourth generation and features a more mature, sophisticated look than its goofily happy predecessors. Exterior design highlights include an aggressive front end, a curvy arched body, Jaguar-like taillamps, and a stylish, minimalistic dashboard. 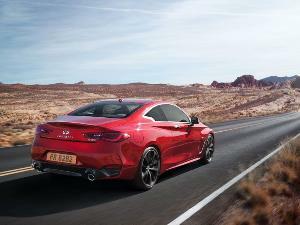 The 2018 model also received some slight upgrades: heated seats and a touchscreen infotainment system became either standard equipment or more widely available; new color choices such as the Dark Cherry canvas roof on our test car; newly available sport seats; and some suspension and steering tweaks. Bigger news is coming in the fall. Mazda has announced that the 2019 MX-5 Miata will feature 17 percent more horsepower, increasing from 155 hp to 181. It will also include new safety features: a backup camera and an automatic emergency braking system. Since its 1990 debut, the MX-5 Miata has been a two-seat convertible that comes standard with a manually folding soft top. While most modern convertibles have power-operated roofs, the Miata’s is a model of simplicity. It takes just a couple of seconds and one hand to undo a latch and push the roof down over your shoulder. Reversing the process is easier still — a boon if you come upon a sudden rainstorm (or, like our experience testing the Miata on an uncommonly cold Maryland spring day, unexpected snowfall). You can also buy the Miata RF, which replaces the cloth roof with a partially retractable power-operated hardtop. The RF’s graceful roof adds further panache to the MX-5 Miata’s rear end and silhouette, and it keeps the car a little quieter on the highway. On the other hand, you don’t get the full open-top experience, and the RF costs over $2,500 more than a comparable soft-top Miata. Whichever Miata you pick, the fundamentals are the same. This is one of the smallest cars you can buy today (it’s pictured here next to a best-selling Ford F-150 pickup truck). It hugs the ground and fights off any extra pounds. The 2018 MX-5 Miata weighs as little as 2,332 pounds — about a fifth less than a typical compact economy sedan, and barely half the weight of a fully loaded Dodge Challenger sports coupe. This lightness pays off with delightfully responsive steering and handling. 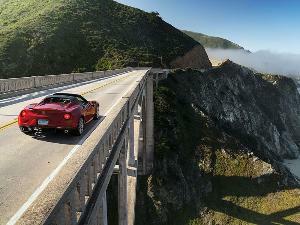 The Miata transmits the driver's desires instantly to the road, and the car responds joyously to inputs. Some critics want a stiffer ride and higher handling limits, but part of the MX-5 Miata’s appeal is that even everyday driving conditions are a delight. Particularly with the top down, the MX-5 puts you at one with the road, whether you’re tackling a scenic mountain byway or just running to Safeway for a gallon of milk and a couple tins of cat food. While agile handling has always been the Miata’s leading quality, some drivers will find the powertrain no less endearing. 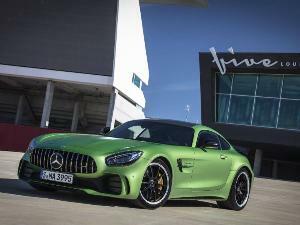 The 2.0-liter four-cylinder engine has just 155 horsepower this year, which sounds like a recipe for a snoozer by sports-car standards. But the low weight means that the 2018 MX-5 Miata is actually pretty quick. It won’t win a race against a V8 muscle car, that’s true, or even a V6 Toyota Camry. But with a 0-60 time below 6.5 seconds, it’s plenty zippy for anything but pure racing. A longstanding complaint about the Miata has been that not everyone will fit inside. This low, lithe, and light roadster is best suited for occupants with that same body type. The current generation eked out some additional headroom, but there’s only so much magic that Mazda can pull off. Some folks will be just too tall or too wide for the Miata. The passenger seat is even tighter than the driver’s. The MX-5 Miata has a low dashboard with a 7-inch infotainment screen perched on the top. Further keeping the design tidy, the system's physical controls sit between the front seats. (The screen is also touch-operated, but only while the car isn’t moving.) Materials quality isn’t quite luxury-grade, but the MX-5 Miata punches above its price bracket. The top-trim Grand Touring adds a new Nappa leather option for 2018, further enhancing the ambiance, and we enjoyed the optional extra-supportive suede-trimmed sport seats in the tested Club. Drivers can install up to three cupholders and remove them when they need cabin space more than a beverage. Functional - for what it is. Describing the MX-5 Miata’s functionality is an exercise in relativity. By the standard of most cars, it’s utterly impractical. You can’t fit large adults or more than two people of any size. The seats are practically at ground level. The trunk is small. Cabin storage is minimal. It comes only with rear-wheel drive. So maybe the Miata isn’t your choice to bring your three kids and two dogs to Grandma’s. Maybe you’ll leave it parked while it’s snowing, as we reluctantly did. And if you don’t value its hyper-engaging driving experience, any of its tradeoffs become unnecessary. But if you accept that it’s a small two-seat convertible, and if you personally fit inside, the MX-5 Miata isn’t half bad. Notably, the 4.6-cubic-foot trunk is conveniently shaped. And unlike most convertibles, lowering the roof doesn’t cut into the trunk volume — it instead tucks behind the front seats. That extra utility has helped the Miata outlast short-lived challengers from Toyota and General Motors over the years. The 2018 Mazda MX-5 Miata starts at $25,295 for the base Sport model, which comes standard with cloth upholstery, a 7-inch infotainment system with a touchscreen and control wheel, LED headlights, 16-inch alloy wheels, and a six-speaker sound system. 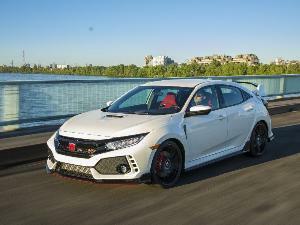 The sport-oriented Club model ($29,155) adds stiffer suspension tuning, a limited-slip differential, heated seats, and a blind-spot monitoring system. The most luxurious Grand Touring, $30,195, brings leather upholstery, a navigation system, rain-sensing windshield wipers, and a lane-departure warning. Some folks will grumble at a tiny 155-horsepower car that costs upward of $30,000. But considering the Miata’s sporting abilities, it’s a bargain. Sure, on paper, you could compare the MX-5 to a V6 Camry and wonder what all the fuss is about. But on the road, it’s more like a budget alternative to a Porsche 718 Boxster — providing open-top thrills at attainable prices. However, Mazda is missing desirable features like a backup camera and Android Auto/Apple CarPlay smartphone integration. If you’re not willing to spend Porsche money, it’s not easy to find a car that’s much like the Miata. But there are a few alternatives. Most notably, Fiat sells its own version of the MX-5 — the 124 Spider. It brings retro Italian styling and a turbocharged engine to the mix, along with subtly different suspension tuning. We prefer the Mazda’s engine and styling to the Fiat’s, but others' tastes will vary. The only other small rear-wheel drive cars priced under $30,000 are the Subaru BRZ and Toyota 86, a pair of nearly identical coupes with delightfully responsive steering and handling. 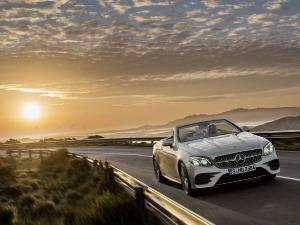 These are fixed-roof coupes rather than droptop convertibles, and they squeeze in tiny rear seats. However, these aging models lack the Mazda’s upscale charm — they feel more like super-fun economy cars than bargain-priced Porsches. Also note that, although they’re bigger, today’s Ford Mustang and Chevrolet Camaro have gotten increasingly nimble. If you like the idea of a fun two-door but don’t want to feel hemmed in, give them a look. While alternatives to the 2018 Mazda MX-5 Miata do exist, its particular flavor of sporty style, sporty substance, and premium ambiance is impossible to match at prices below $40,000. This car seamlessly blends timeless driving enjoyment with modern conveniences, improving upon its brilliant heritage rather than drifting away from it. If you appreciate this type of sports car, your biggest challenge isn’t what car to buy. It’s whether to buy this year’s Miata, next year’s Miata, or a used Miata. And the best news of all: You can’t go wrong with any of those options. That is, of course, as long as you can fit inside.